Injury Care EMS can provide discreet, onsite professionals to respond immediately with life-saving medications and equipment; and all the training, skills and experience required to save lives. 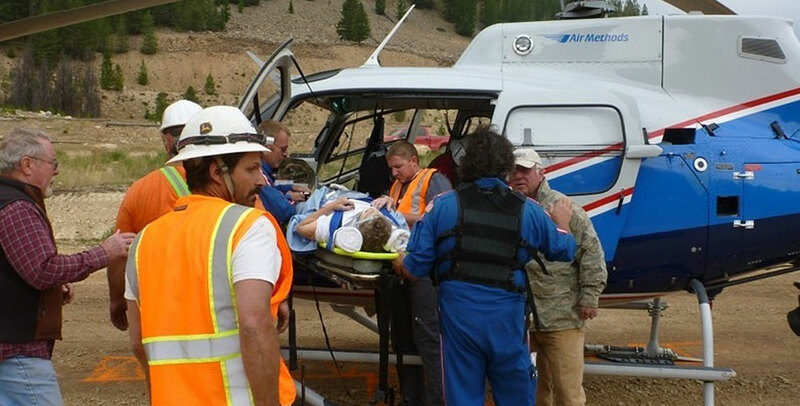 We have been responding to these kinds of emergencies in remote, rugged, back-country conditions for years; we can be there for you and your guests. Getting ongoing treatment for workers injured on the job can also be a challenge in remote settings. Appropriate follow-up care may not be available at a reasonable distance. This can result in extended time loss, reduced production, increased indemnity payments and higher workers compensation insurance premiums. Injury Care EMS can help by setting up a complete clinic to treat sick and injured workers on site!